Everybody is becoming internet marketer in one way or the other either by blogging, promoting affiliated products and all the like as internet is becoming the second largest society on the planet earth, and there are trying to make their blog search engine friendly in a wrong way for the sake gaining search engine popularity. If however you have been struggling with how to make your blog search engine friendly, the below tips am about to unfold could be what is required of you to make your blog search engine friendly, and make your blog post indexed on time by most search engines such as Google, Bing, Yahoo, etc. Many professional bloggers like John Chow, Matt Cutt, etc. don’t consider this is a blogging priority because they are professional but as a beginner, this is very crucial. Your blog title and URL must contain some of your blog keywords, because it the best way to have a say over what your blog is ranked for. Writing quality content often is equal to last long blog traffic (LLBT). All search engine love something fresh, new and innovative. The more fresh content you write on your blog either for search engine or your blog visitors, the more you get your blog indexed with the right keyword for a start, and this will stand as a chance for you to have constant blog traffic over the time even when you are on holiday, your blog quality content with rich keyword will do the traffic job on your behalf. Note that, if your blog is to be optimized for keywords, that will be what people will be search for, it is wise to categorise your blog content under your blog respective keywords. The more you make your blog post familiar with your blog keywords categories, the better the rank in search engine. For instance, if your blog is all about blogging, then, you are expected to have categories like, making money blogging, how to start a blog, blogging template, blogging tips, and all the like. Don’t just create blog categories without making use of them. Before hitting the publish button, make sure you tag each post to their respective categories and keywords that you are targeting your blog post to be ranked for, and this will motivate readers to find their ways on time when reading your blog post. I love this aspect so much, this helps you to keep search engine inform that your blog has a new update. Although there are many ping site that you may use and here are the best three I love using whenever I publish an article on my blog and you too can try them. There are ways of getting blog quality backlink like engaging in forum activities, submitting your blog to blog directories, engage in blog comment, guest blogging, and even paid backlink. But the best of all that are worth placing priority on are forum, comment, and guest blogging if your writing skill is above average you can give guest blogging a trial. Reason why I suggested those three backlink sources is just because Google search engine doesn’t frown eye on them because they are considered genuine way of building blog backlinks else search engine may consider you blog backlink as spam and you may be a victim of Google penguin either now or future which will have negative effect on your blog most especially on your blog traffic and search engine ranking. Although, all the above steps may be somehow difficult and unattainable on time, but doing them the best way you can do them will definitely increase your blog search engine visibility. Adesanmi Adedotun is devoted blogger that blog passionately, and C.E.O ofAdetechblog! Very helpful tips, I can see these being particularly good for small business owners who run their own websites too. Thanks for your comment; as you have said, having a website or blog for small scale business will increase the business revenue with time. Useful tips,But Will Google banned sites with paid backlinks especially in Adsense ? I think that is best known to Google AdSense team and if this doesn’t go againt Google AdSense policy definitely they won’t but if it does, Google will take action against such account and I believe it does. Hey Adesanmi Glad to see you here mate ! Thank you so much for welcoming me to this great blog! Yes Pramod, it is really safe but not consistently, do make use of it whenever you publish new article on your blog because that’s what I do. Hope you are doing really good Adesanmi Adedotun, I can see your active performance in the blogopshere, it shows that you are a passionate blogger. Yes, agree with your views to make the blog search engine friendly. If you chose low competitive keywords, you could perform well on search engines. Try to use a long tail keyword and include naturally in the first and last paragraph of blog post. Keywords should be used in limit and it should not be stuffed unnecessarily. Thank you so much for taken your time to went through the whole article and your great contribution. Thumb up! Very informative article Adesanmi , good to see well formed article, Keep going with SEO stuffs. Let me first say i love your blog,the lettering, and the template is perfect. Thanks for this great information. i believe we should do more justice to this issue of keywords, because some new bloggers don’t know much about it. Thanks for loving this blog, stay tune for our latest update. In this ever growing world of blogging, it becomes really important to take a few steps that make you stand out. I think building backlinks is one of the most important steps that you have mentioned. Yes, quality backlink is the backbone of every successful blog. Thanks for your comment. It all depends; monetizing sometimes depend on region, like bloggers in Indian , Google AdSense policy says their blog must be six month old before they can be monetized why some bloggers in some region can start monetizing thier blog in less than three month. But it all depend on your blog content and traffic which 50% of your blog traffic must be from search engine. I sincerely recommend you read Google AdSense policy before you apply and that will really help you to understand when it’s right to monetize a blog or website but basically, you need to work on your blog traffic and exposure first. Great list bro. I haven’t done any on-page SEO on my blog. Will it be going to affect search engine rankings? Thanks. 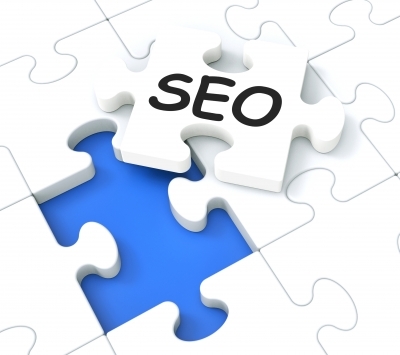 It’s very important to understand both on page and off page SEO to rank high on search engine. I appreciate your making a blog search engine friendly. I have to admit, I really don’t take the time to do it. I especially hate building backlinks. I guess I need to be more focused on these types of tasks, especially if I want my blog to rank for certain keywords. Thanks for the share. Thanks for admitting this that making blog a search engine friend bring more exposure to our blog. This list is pretty comprehensive and straight to the point. Seriously, I have meaning to read your blog but have never been able to until I found your link on Adrienne’s twitter page. You might not remember but I remember you were the first person and in fact to live a comment on my newly blog Motivate Naija. You remember? Thanks brother, you are the best! Nice tips here. I would say, IMHO, that quality content is the most important here. If you want real readers that will keep coming back, you have to give them a reason to come back. Have a great day! Making your blog Search Engine Friendly is the only way to grow as a community online because sooner or later you will have to depend on search engines for majority of your traffic. Social media can give you temporary traffic . So awesome tips on the related topic. Thanks for sharing this topic. Hmm..constant ping. i used to do that ALOT but does that really helps? I thought I knew the basics aboutmaking one’s blog search engine friendly let your tip about blog category and keywords just blew my mind! Your suggestions about linking them never even occurred to me. Thanks! A great post indeed. SEO is the key to success for every website. Thank you for sharing. really helpful tips, thanks for sharing. i just wanted to ask he is right about ping websites. Most of us who market a blog for business and to earn income online can truly appreciate the tips you shared how how to make our blogs SEO friendly. It seems there is always something new to learn and apply. Okay. Time to make my blog search engine friendly.